This app is an absolute scam. 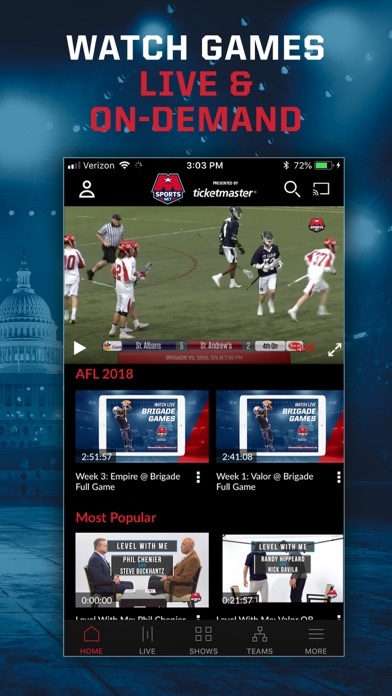 It is advertised as an app that broadcasts live DC area sports, including the Caps and Wizards. All you get is crappy amateur boxing and short clips of practices and player interviews. Don’t download. Thank you very much for covering SJC football. I was a manager for Doonie Waldron in 77, the last time SJC was ranked in the Top 5. Go Fighting Johnnies! The unsubscribe feature on this app does not work, so I contacted the company and asked them to cancel my subscription. They confirmed with me that they had cancelled. A few months later I’m reviewing my app subscriptions and they were still charging me. They never cancelled my subscription even though they said they had. Do not use this app. 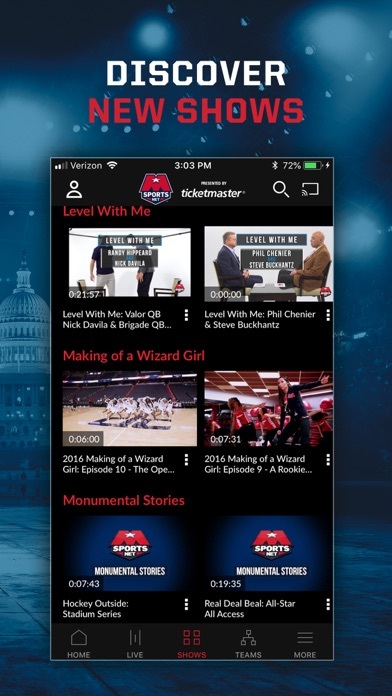 Last year they had a Wizards preseason game on this app and it was glitchy and I couldn’t even watch the game. Now they have done it again and the app is still glitching out. The worst part is you have to sign up for a subscription or free trial to attempt to watch the game. I immediately canceled my subscription last year because the app wasn’t even working. I get that they are trying to get new subscribers with this promotion but they need to invest in fixing this app before putting games exclusively on it. Best and frequently the only way to see local high school football. Update 9/1/18.... I take back everything I said! I tried to sign onto this app and they said I do not have an account. I signed up for an account and they said I already do have an account. they can’t have it both ways, but they can’t seem to figure out whether I do or don’t have an account! Try to find something else. Horrible horrible app. It deserves 0 stars. It keeps freezing every 5-10 seconds. And it’s NOT me. I stream WNBA all access, Netflix and Amazon video and I have NO problems. I paid 6 bucks and change. Not worth a penny. Pretty sure I know why this is so poorly rated. 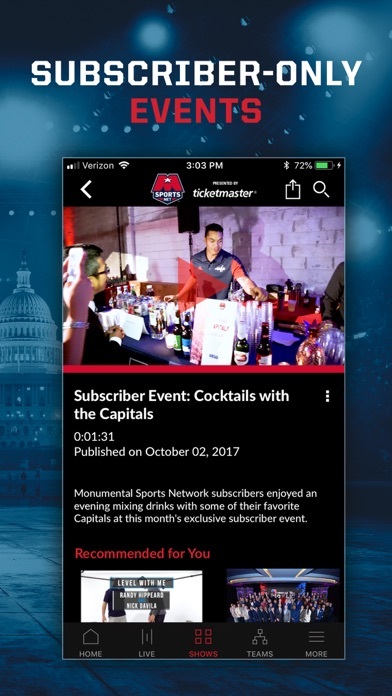 When you buy tickets electronically, monumental sports emails you and directs you to download the app to transfer your tickets. The app is a monumental piece of excrement. The login never works. Luckily you can get your tickets transferred to your smartphone other ways, so just ignore the monumental bait and switch. If any of the app developers are reading this, your app clearly has a problem. You may want to consider fixing the login issue or provide better instructions. User unfriendly. Doesn’t recognize account. Makes it impossible to use for tickets. Should be a zero.